Weddings at Epping Forest are simply gorgeous. 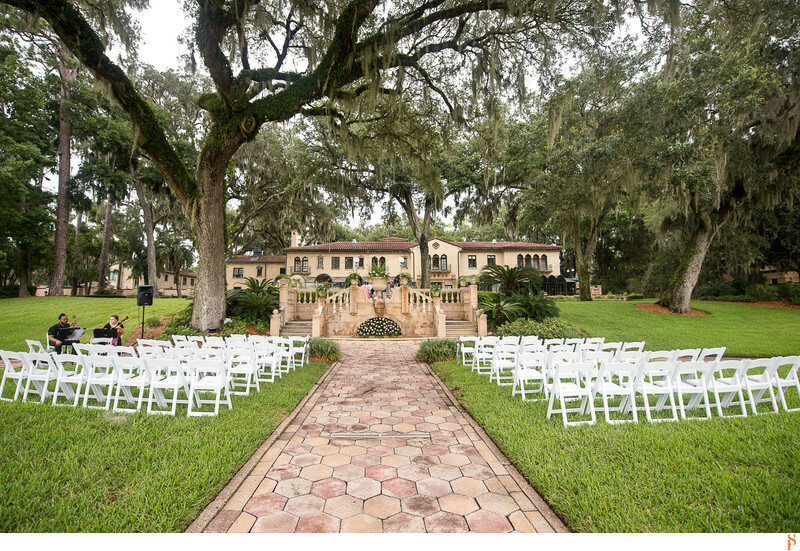 The fountain with the two stairs going down on the side is the perfect location for an outside wedding ceremony. For the wedding ceremony, they set up white wooden chairs that gives the wedding at Epping Forest an enchanted look. Location: 1830 Epping Forest Dr, Florida.